Let us take care of all your accounting and tax requirements leaving you with "peace of mind". Your company’s year end accounts also known as ‘statutory accounts’ - are prepared from the company’s financial records. The accounts must be filed with HMRC and Companies House at the end of your company’s financial year. Both HMRC and Companies House have penalty regimes for those who miss filing deadline. These penalties increase with time so can cost you dearly if you are continually filing late. AKJ Accountants offer competitive pricing with flexible meeting hours. Our professional and very friendly service will take the stress of year end accounts away from you so you can continue focusing on your business growth. Self Assessment is a system HMRC uses to collect Income Tax. You will need to submit tax return if in the last tax year you were self employed, renting out a property, made profit from selling shares or second home, a company director, earned over £100k, got dividends from shares or you (or your partner) earned over £50k and one of you claimed child benefit. The tax year is from 6 April to 5 April following year. We are here to help complete your tax return on time and ensure all tax reliefs & allowances that you are entitled to have been applied to calculate your tax liability. We know bookkeeping can be very time consuming and you would rather be spending time making your business a success. Let us help you with our accurate and comprehensive bookkeeping services that can be tailored to suit your business requirements. Good bookkeeping can benefit your business by helping you manage and control your finances, forecasting future growth and ensure your year end accounts and tax returns are completed on time. We can prepare your VAT return from your own bookkeeping records or we can take care of your record keeping and the VAT return filing. We advise our start up clients if it is beneficial for their business to register for VAT or not and we regularly monitor their business growth, so that should it become compulsory to be VAT registered, we can deal with all the registration formalities. Choosing AKJ Accountants to take care of your VAT responsibilities will not only give you valuable access to VAT experts and peace of mind but also help you save money wasted on penalties and interest levied on late registration, errors and late return filing. Payroll is an integral part of any business, so a complete package of accuracy, cost effective and speed is essential to keep your business running smoothly. At AKJ Accountants your employees come first and you can rest assured that your employees are paid accurately on time every time. Since the introduction of Real Time Information (RTI) employers are required to submit information to HMRC on or before their employees are paid. We use HMRC recognized software that is up-to-date and fully compliant with the latest payroll and pension legislation, including workplace pensions – Auto Enrolment and RTI. You pay Corporation Tax on profits from doing business as a limited company. There are specific things you must do to work out, pay and report your tax. The first thing you must do is to register for Corporation Tax when you start doing business. Keep accounting records and prepare a Company Tax Return to work out how much Corporation Tax to pay. Pay Corporation Tax or report if you have nothing to pay and file your company Tax Return by your deadline. AKJ Accountants can provide tax compliance services tailored to suit your needs, whether you require an independent tax compliance review, specific technical advice or a complete tax compliance service, allowing management to focus on the core business. The unexpected changes announced in Budget 2015 will hit Buy-to- Let Landlords the hardest. The new regime is highly complex and Landlords are struggling to fully grasp the implications. This area of accounting is quickly evolving and complexities of owing a rental property together with the tax compliance for Landlords will continue to grow. AKJ Accountants are here to help, we specialize in this area and offer a comprehensive rental accounts service. Our Rental Accounts service includes preparation of your Rental Income Accounts, computing your tax liability and submitting your tax return to HMRC. Accounting for service charges in property industry is a specialized area that requires expertise and understanding of the sector. AKJ Accountants can provide expert advice on all aspects of service charge accounting and certification of service charge accounts. We work with Managing Agents, RMCs and RTMCs providing proactive advise and preparation of annual service charge statements and statutory accounts. Our value for money service will enable Landlords and Managing Agents to meet their obligations and fulfill their duty to demonstrate transparency and accountability through Certified Service Charge Accounts. We specialize in helping new businesses start with an expert advice to take off to a successful journey. 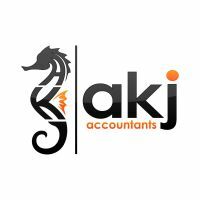 AKJ Accountants offer FREE initial consultation to understand your business and advise you on the best structure to use for your business. The decision on structure has implications for tax, legal and financial responsibilities and the amount of paperwork you will need to complete. There is no straightforward answer, because different legal structures suit different situations and therefore it is extremely important to take an expert advice before entering into a new venture. We would be delighted to hear from you and assist you with your accounting requirements. AKJ Accountants offer a FREE initial consultation. © 2019 AKJ Accountants is the trading name of AKJ Accountants Ltd, a private limited company registered in England & Wales under number 07410691. Authorised and regulated by Association of Chartered Certified Accountants. All rights reserved.